Growing up in Chandler, Arizona, Brook Bennett began playing cello at age ten. He earned a bachelor’s degree at The Cleveland Institute of Music and a master’s degree at State University of New York at Purchase College. Brook is currently associate principal cellist of the South Bend Symphony Orchestra and a member of the Southwest Michigan Symphony Orchestra. He is also a substitute cellist with the West Michigan, Northwest Indiana and Kalamazoo Symphony Orchestras. 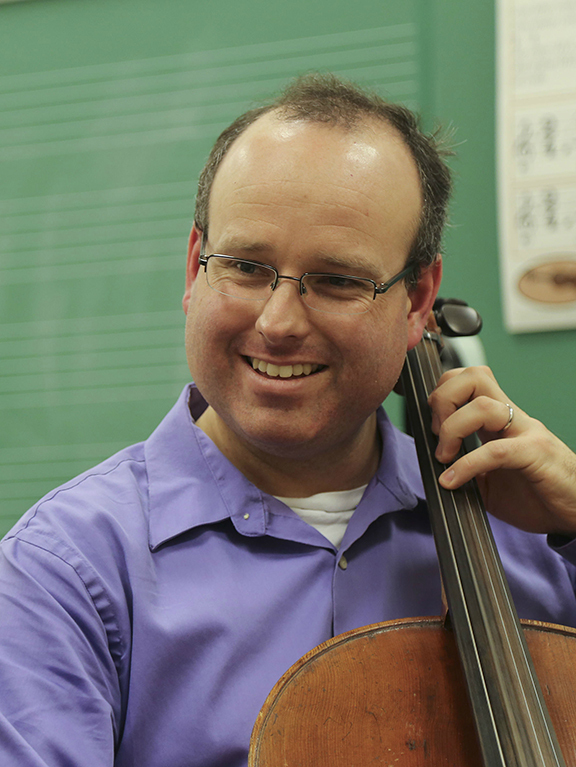 As a teacher, Bennett has served as Suzuki cello instructor at Goshen College’s Community School of the Arts since 2004. He has studied Suzuki pedagogy at the Southwestern Ontario Suzuki Institute as well as the Chicago Suzuki Institute. In 2009 he accepted the position of adjunct cello faculty of the Culver Academy. Past positions include CREDO Chamber Music’s “Opus 1” program and faculty member at the Amadeus Conservatory in Westchester, N.Y.